The class of license depends on the vehicle you plan to drive. Depending on your ultimate goal, you may be required to take written tests on Hazardous Materials,Passenger Vehicles,Combination Vehicles,Air Brakes,Tankers,School Buses, and Doubles-Triples (hauling two and three trailers instead of one). Online Commercial Driver's License study program will provide you with the course material you need to achieve the highest score possible, and sample tests that you will see on the states DMV examinations, giving you a learning advantage. Any single vehicle with a gross vehicle weight rating (GVWR), actual weight, or registered weight over 26,000 lbs. or such vehicle towing a vehicle with a GVWR, actual weight, or registered weight of 10,000 lbs. or less. There is a federal requirement that each state have minimum standards for the licensing of commercial driver's.You must have a CDL License to operate Commercial Vehicles. Any combination of vehicles with a gross vehicle weight rating (GVWR), actual weight, or registered weight over 26,000 lbs. provided the GVWR, actual weight,or registered weight of the towed vehicle(s) is more than 10,000 lbs. A vehicle transporting hazardous materials in amounts requiring placarding. 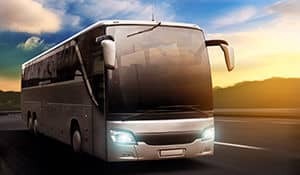 A vehicle that is designed OR used to transport 16 or more passengers,including the driver.Any vehicle for which a CDL license is required is considered a Commercial Motor Vehicle (CMV). The General Knowledge Test , taken by all applicants. The School Bus Test is required if you want to drive a school bus. The Air Brakes Test, which you must take if your vehicle has air brakes. The Combination Vehicles Test, which is required if you want to drive combination ehicles. The Hazardous Material Test, required if you want to haul hazardous material or waste in amounts which require placarding. The Tankers Test, required if you want to haul liquids in bulk. Pre-Trip Vehicle Inspection: You will be tested to see if you know whether your vehicle is safe to drive. You will be asked to do a pre-trip inspection of your vehicle and explain to the examiner what you would inspect and why. Basic Vehicle Control: You will be tested on your skill to control the vehicle. You will be asked to move your vehicle forward, backward, and turn it within a defined area. These areas may be marked with traffic lanes, cones, barriers, or something similar. The examiner will tell you how each control test is to be done. On-Road Driving: You will be tested on your skill to safely drive your vehicle in a variety of traffic situations. The situations may include left and right turns, intersections, railroad crossings, curves, up and down grades, single or multi-lane roads, streets or highways.The examiner will tell you where to drive.You must take these tests in the type of vehicle for which you wish to be licensed. 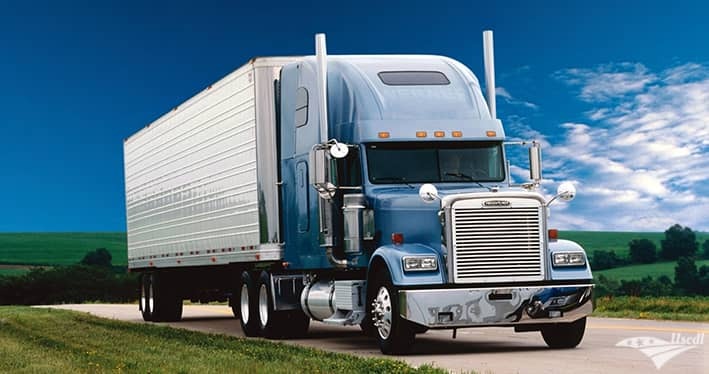 Other CDL License Rules There are other rules which affect drivers operating CMVs. You cannot have more than one license. If you break this rule, a court may fine you up to $5,000 or put you in jail. Keep your home state license and return any others. You must notify your employer within 30 days of a conviction for any traffic violations (except parking). This is true no matter what type of vehicle you were driving. You must notify your motor vehicle licensing agency within 30 days if you are convicted in any other state of any traffic violation (except parking). This is true no matter what type of vehicle you were driving. You must notify your employer within one working day if your CDL license privilege is suspended,revoked,canceled or disqualified. You must give your employer information on all driving jobs you have held for the past 10 years. You must do this when you apply for a commercial driving job. All states are connected to one computerized system to share information about CDL drivers. The states will check on drivers’ records to be sure that drivers don’t get more than one CDL license. FEDERAL MEDICAL STANDARDS pplicants for a CDL license must meet all federal physical qualifications. To drive in interstate commerce, an applicant must be at least 21 years old. However, applicants ages 18 to 21 may receive a restricted CDL license, limited to intrastate operation only. The CDL license will be restricted to “No CMV Operation in Interstate Commerce”. 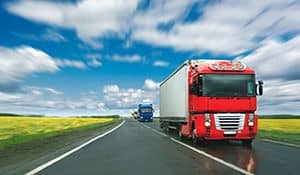 Effective July 29, 1996: Drivers of commercial motor vehicles (CMV) operating in intrastate commerce must meet the federal medical standards and present a valid federal medical card when they apply for a commercial driver license (CDL)unless they have been grand fathered or are exempt by federal or state law. A copy of the federal medical standards is available at the CDL licensing agency in your state. 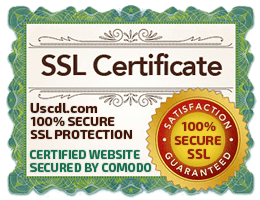 IDENTIFICATION REQUIREMENTS Applicants for commercial driver licensesare required to show their Social Security card. The Social Security number will not appear on the driver license document but will be used to identify driver records between states. - No CMV operation in interstate commerce. - No CMV operation in intrastate commerce unless exempted by federal or state law, i.e., employed by a governmental agency or operating a school bus (a state medical form is required for school bus operation). You must have a qualified driving instructor or a person who is licensed to operate that type of CMV, and who is at least 21 years old,sitting next to you at all times. You may not transport passengers. However, if the accompanying driver is a qualified instructor, 3 other persons with instruction permits may also ride along. You may carry property in a CMV while you are driving on an instruction permit. Unless you are at least 21 years old, and have a federal medical certificate (Fed Med Card), you may not operate in interstate commerce on an instruction permit.